Positive Detroit: Art Meets Sushi: New Restaurant ITADAKU Opening In Corktown! Art Meets Sushi: New Restaurant ITADAKU Opening In Corktown! 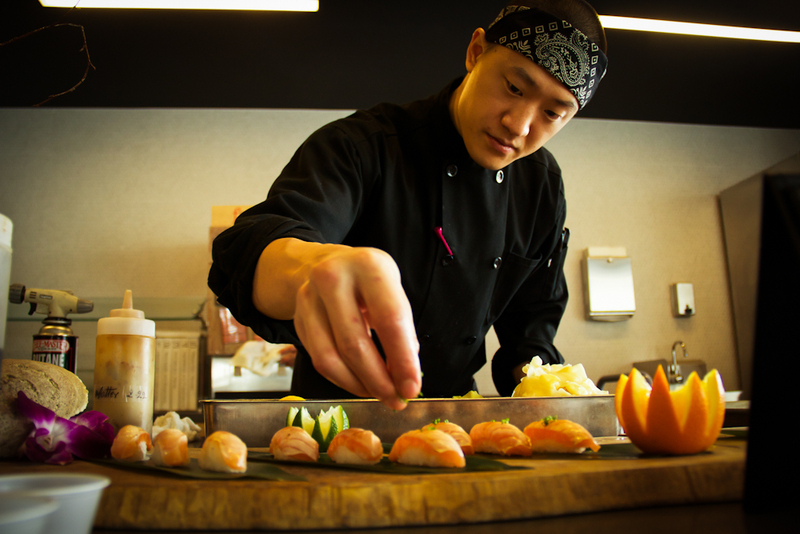 Inspired by the origins of sushi (fast food), Detroit artist and chef Mike Han has developed a sustainable sushi concept called ITADAKU that will serve high quality sushi fast. This fine-casual sushi shop will feature Daku Maki (large format hand rolls), salads, and rice bowls along with traditionally made nigiri and sashimi. ITADAKU is the intersection of Han’s two greatest passions, art and sushi. This concept is as much about art and storytelling as it is about eating for pleasure and sustenance. Itadaku is a Japanese word that means “to enjoy [food and life] with gratitude.” It is an honorific word that shows deep appreciation for the plants, animals and natural resources needed to nourish our bodies, and for the people who work the land and sea tirelessly to bring us nature’s bounty. ITADAKU’s mission is to make delicious sustainable sushi accessible to all. Our broader goal is to positively impact people and our planet by cultivating grateful hearts. Like the city of Detroit, ITADAKU is founded in 1701 [Trumbull Ave], and with Detroit spirit and hustle, we will work to revolutionize the sushi industry by demonstrating a powerful demand for responsibly sourced seafood in the US and around the world. Mike Han is the owner, chef and artist behind ITADAKU. Han was formerly the Head Sushi Chef of Roka Akor in River North Chicago, a Michelin recommended restaurant and ranked as one of the "Top 10 Sushi Spots in the US" by Bon Appetit Magazine. Han has also worked under Master Sushi Chef Katsu Uechi, one of four Master Sushi Chefs in LA at his restaurants Katsuya by Starck, and Katsu-ya, a perennial Top 10 Restaurant in SoCal rated by Zagat. As an artist, Mike works under the name “icon” (say "Mike Han" really fast a few times and you'll get it) and has painted murals for vitaminwater, the Detroit Riverfront Conservancy on the Dequindre Cut, the Woodward Windows Project, Derrick May's Transmat Gallery, for several Metro Detroit businesses and even has painted a mural in Japan. Han has exhibited his artwork throughout Metro Detroit and in Seoul, South Korea, and has had artwork purchased for use in a feature film by Paramount Pictures. ITADAKU is a singular Detroit experience coming to Corktown in late 2016. Follow @itadakusushi on facebook and instagram for news and access to pre-opening pop ups and check out Daku’s Story on our website itadakusushi.com.